Katie from Abella’s Braids here one last time! You will still be to see our videos on Cute Girl’s Hairstyles YouTube channel but this will be our last blog post! 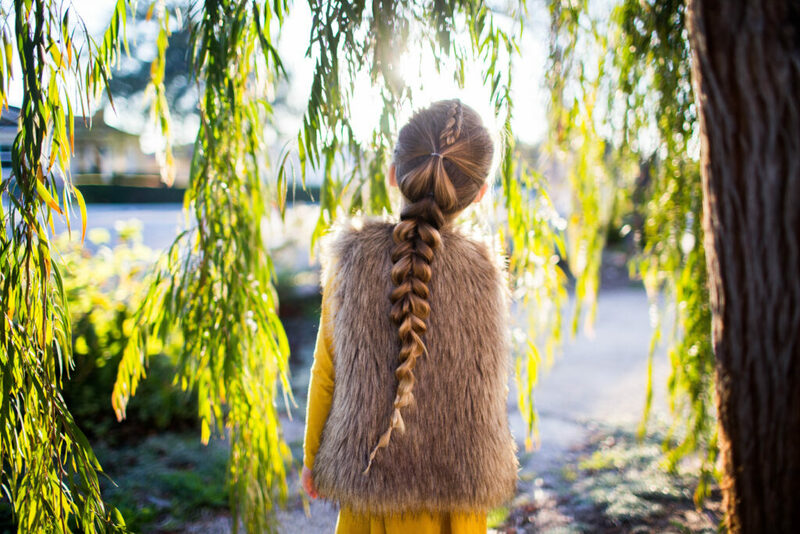 It’s been so much fun sharing braids with you here and we will miss it! For our last style, we wanted to show you a simple style that is gorgeous and holds up really well. It’s perfect for any occasion and if you’re going to be moving around a lot, you won’t have to worry about this style falling out! Let’s get right to how to do it! I like to start this style with wet hair. You can prep the hair with a light hold gel if you want extra control against flyaways! Make a triangle shaped parting at the top of the head. The flat end of the triangle should be at the forehead and the point of the triangle should be at the back of the head. End this point where you want your half up section to sit. Put the rest of the hair in a ponytail or a hair clip to hold it out of the way. Dutch braid the triangle section from the front of the face, back. 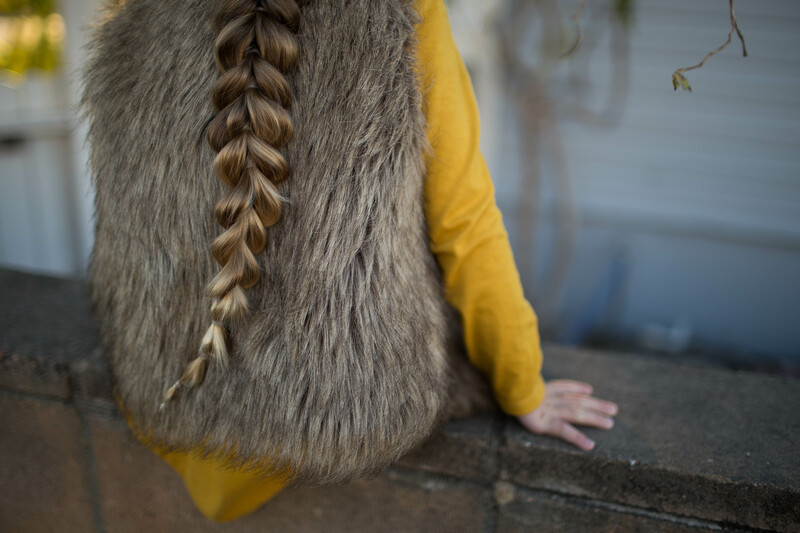 Once you run out of hair to add, braid for a couple more inches and pin to hold for later or place a small elastic. Make another parting going from the tip of the back of the triangle to behind the ear. Repeat on the other side. Smooth these two pieces back into a half up ponytail, but before you add an elastic, add in the braid from the previous step. Add the elastic, take out the elastic or pin from your braid and unbraid it up to the last elastic you added. Pin this whole ponytail out of the way. Make a ponytail using a horizontal part from one ear to the other. Take down your first ponytail, split it in half, and place them on either side of the ponytail below it. Pin this ponytail out of the way. Combine the two sections and put this and the rest of the hair into a ponytail. 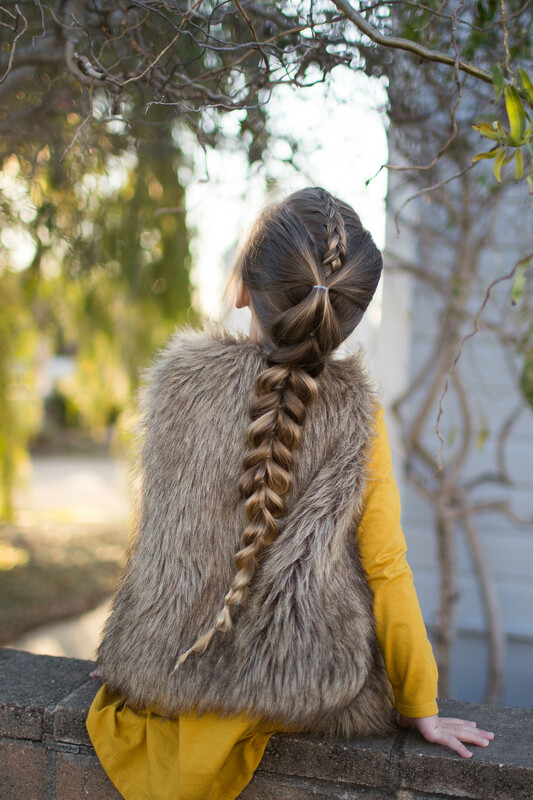 Make a pull through braid all the way down the ponytail. When you run out of enough hair to make a pull through section, switch to a bubble ponytail to get the most out of your length. Finish with hairspray if desired. Thank you all who read our blog while we were contributing here! Don’t forget that you can find us at @abellasbraids on Instagram!